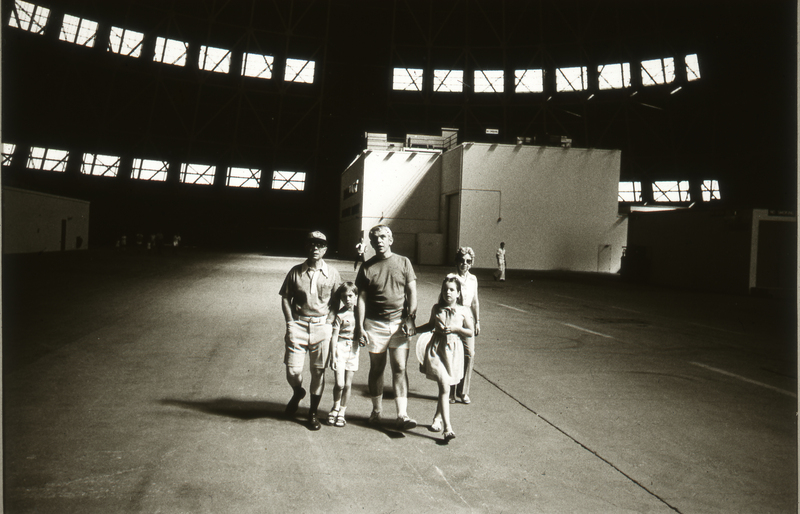 Item is a photograph of a group of five people walking inside a large building at an unidentified location. The building is possibly an airplane hanger. The photograph was exhibited at the Centre for Art Tapes during a 1977 exhibition of photography and video by Bruce Sparks, Vikky Swettenham and Theodore Wan.